Do you Yelp? I feel like it is one of the many things I use as a resource but rarely feel compelled to contribute. And when I do it is usually to right a wrong. Like the time I received exceptional service at Shopsin’s in spite of their legendary rude waitstaff. Or to combat a rash of negative comments about Scrap Yard when I was provided with superlative service that negated all the snarky, petty reviews. Being a business owner (a 5 star Yelp business owner) I know how damaging a negative review can be especially when it isn’t based on actual experience but the writer’s perceived expectations. And when you do experience stellar custom service it’s just as important to share. 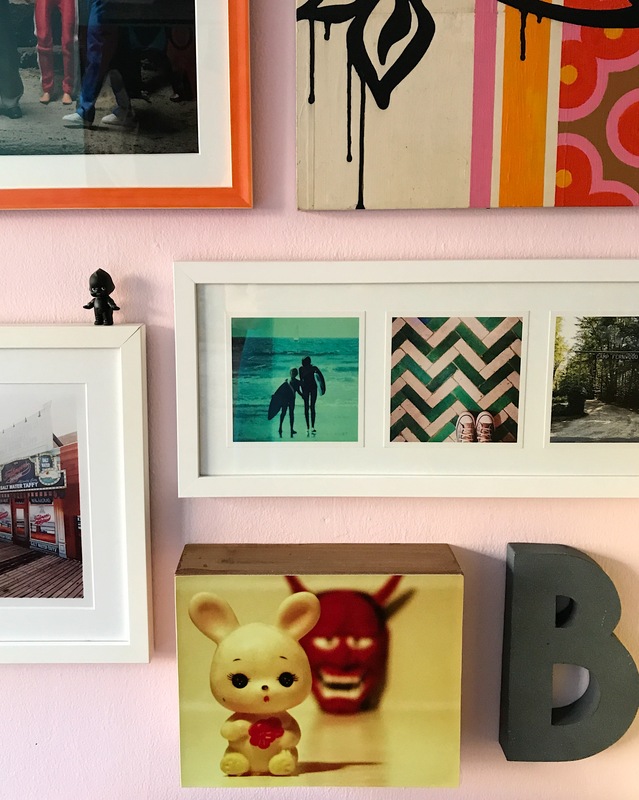 Last Saturday, I brought in a 14″x 11″ photograph and a selection of previously printed Instagrams that I decided needed to be framed last minute in anticipation of the paintzen photo shoot 48hrs later to Excel Art & Framing. I’ve been taking my own artwork & photographs, my clients’ artwork – ranging from a Picasso to children’s school work and have referred countless friends to Excel for over 15 years. They are amazing, knowledgeable, creative and willing to do super labor intensive, highly detailed special projects that no one else would take on and certainly not at this price point. I was thrilled when they said they could probably get the frames ready for p/u just before the shoot on Monday, but I was beyond amazed and appreciative when I received a call 5 hours later letting me know both custom made frames were ready. 5 hours later!!! Next time you’ve got a frame project Excel is where you want to go. Plus if you mention my name, you get a sizable discount. After hoarding & dispensing their flyers from the Valu-Paks that litter your mailbox, the owner said that if they’re a friend of mine, they’ll get the Jeanie treatment which is 5 star.